Often times when a mala breaks, it can feel sad and disheartening. 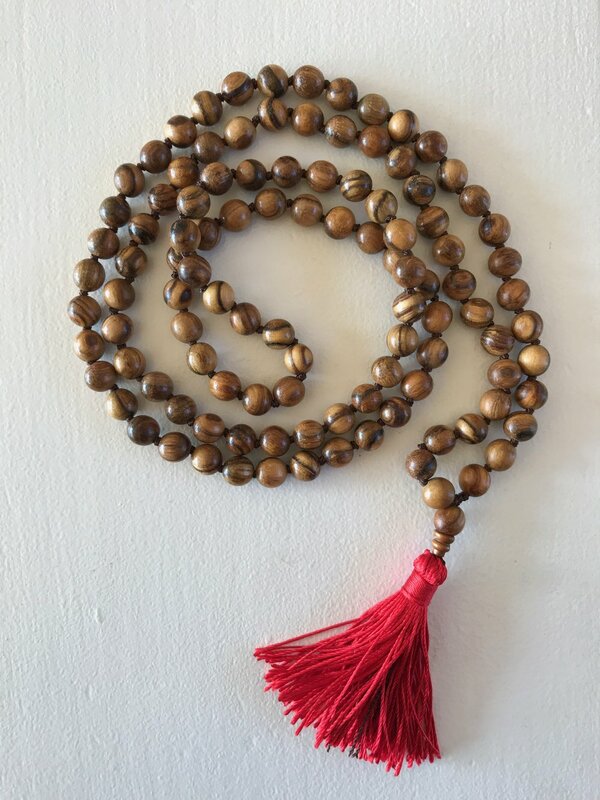 After all, malas are special, unique, and full of healing energy. When a mala breaks, it signifies that it's purpose has been fulfilled - that it's karmic duty is complete. A broken mala is meant to symbolize a broken cycle. You don't "need" that mala anymore. It is a sign to bring new intentions into your life as the current ones have been fulfilled. You can celebrate everything that the mala supported you through. You can keep the leftover stones in a bag or box as a keepsake. You can even re-purpose the stones into a new piece of jewelry or a new mala. Begin to think of a new intention (Sankalpa) that you want to bring into your life. What would serve you now? What do you wish to manifest in your life? Remember that your thoughts become intentions which become actions - so think BIG!